You're not sure what season it is until your eye is finally drawn to the deciduous trees and shrubs and hostas and Solomon's seal turning golden yellow or red. At first, you're way too dazzled by the spring colors - bright whites, light pinks, all shades of rose - tricking you into thinking the month of April has burst forth. My late friend Margaret Moseley planned it that way. 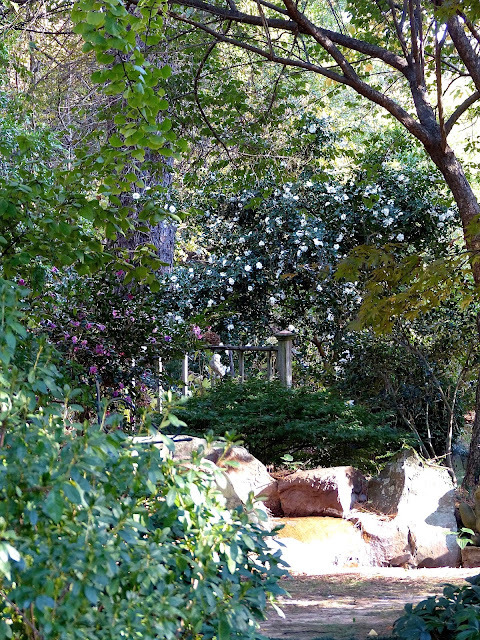 Year after year, she found new Camellia sasanqua varieties to add to her collection. She also had a very early Camellia japonica 'Daikagura', and, of course, her roses came into their fall flush and lasted until the first frost. Several of her hydrangeas put out fresh, French-blue blooms. This is the first autumn without Margaret, and I've thought of so many things I've wanted to ask her. I remember how my heart would beat so fast when I got out of the car and saw so many things in bloom. One of my favorite fall combinations was along her driveway - a fountain-shaped Abelia chinensis loaded with green trusses of flowers next to a 20-foot-high, cascading 'Pink Snow' sasanqua. At the base of all this bloomed the cobalt-blue ground cover Ceratostigma plumbaginoides. Margaret's daughter Carol Harris is now taking care of the garden and is even adding some new plants. It sounds like she's having fun (and working hard) to keep Margaret's treasures going. October and early November are peak times for Margaret's fall garden. I hope to be able to enjoy gardening as Margaret did in her later years. 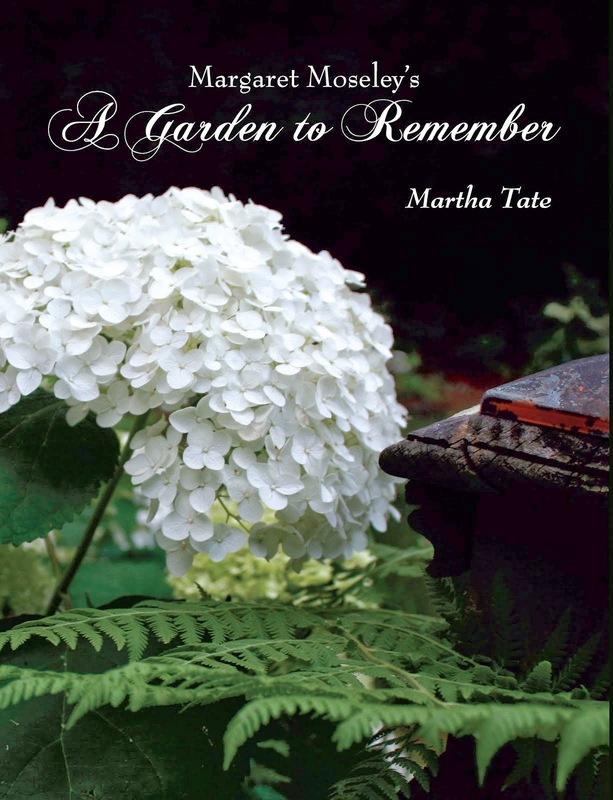 The height of her popularity and pride in her garden came when she was in her eighties. If I make it until then, I hope to be healthy enough to be out in the garden and always looking for something new to plant. The other day at church (where we are installing a big new garden), I was bemoaning the fact that I would be 85 by the time the 'Lady Clare' camellia would be ready to cut for foliage for church arrangements. And then I remembered what Margaret, who kept adding plants into her late nineties, might have said to such a comment. "If you're going to be 85 anyway, you might as well have yourself a big, pretty plant."